The General Election was keenly fought in East Sussex with several seats at risk of changing hands. Home Secretary Amber Rudd held off a strong challenge in Hastings and, in Lewes, Maria Caulfield retained her seat against a determined Liberal Democrat campaign. In the end only two seats switched MPs. 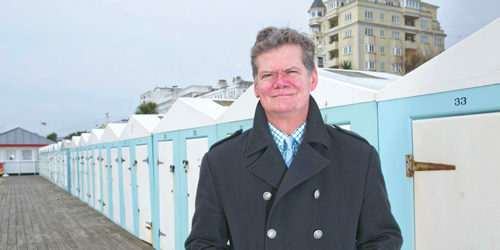 In Eastbourne, Stephen Lloyd regained the seat he lost in 2015 and we welcome one new MP from the county - Labour’s Lloyd Russell-Moyle in Kemptown and Peacehaven. 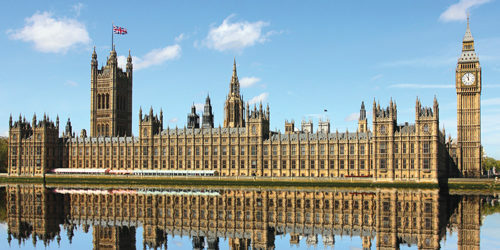 The two MPs spoke to ACES Magazine about their plans and hopes for their constituencies. 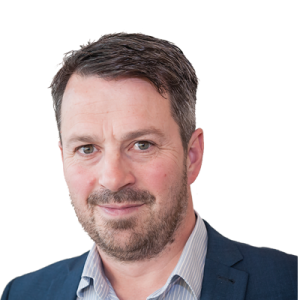 But first we publish an open letter from Eastbourne Chamber of Commerce, laying out the challenges facing Stephen Lloyd MP. Firstly, on behalf of the Eastbourne unLtd Chamber of Commerce please accept our sincere congratulations on your election success. We do hope you will be displaying your honorary membership certificate in pride of place in your Westminster office! As the largest town based Chamber in the South East, we have a number of key priorities that we would like to share with you. As our sister organisation Edeal is responsible for town centre management, we have serious concerns with the layout of our town. There are no public spaces in the town centre so the community has nowhere to come together and running events to promote our retail areas is very difficult. There is also a pollution problem in Eastbourne caused by diesel particulates from local traffic. To address this we need to unpick the ring road / one way system; remove the A259 from Little Chelsea, and introduce public spaces and pedestrianisation to our shopping areas from the seafront up Terminus Road and throughout Little Chelsea. We also need to break Terminus Road into smaller areas with new names and individually defined identities like Victoria Boulevard, Cornfield and Sussex Gardens. All much more attractive than the name Terminus Road. We have been talking to ESCC and Highways for three years about these changes without success and so we would appreciate you lending the power of your office to bring all the stakeholders together so that these changes can be effected without another three years delay. We are also launching a pavement campaign in July to raise the issue of the condition of our existing pedestrian precinct and the pavements between Bankers Corner and the seafront end of Terminus Road. With the new development of the Andale and west end of Terminus Road we do not want to see a two-tier town centre developing and so we are very keen to get cross party support to put pressure on Highways and East Sussex County Council. Boots and Debenhams both report multiple accidents as people trip over the paviers which were laid outside their stores in the 70’s and have not been refurbished since. This is one of our biggest weaknesses as a town and an issue that we have campaigned together on in the past. Simply put, the existing A27 limits the growth of our town. The overcrowding on this road has also been exacerbated over the last 18 months by Southern Rail and the failure of the last government to resolve the dispute with the RMT. We are also concerned that the previous government chose to allow the expansion of Heathrow Airport over Gatwick. This is a lost opportunity and will hold East Sussex back for the next 50 years. We look to you to spearhead the improvements we need to the A27, Southern Rail and Gatwick Airport and work with us to lobby the relevant policy makers. Nationally, there has been a dramatic increase in homelessness and street drinking which is seriously affecting the appearance and ambience of towns throughout the country. Business people in our own town and on the seafront have raised concerns with regards to anti-social behaviour, needles and the cleanliness and security of the town. We understand that homelessness has doubled and street drinkers are increasing in number too as London Boroughs send their difficult families to relocate to the seaside. There is currently a reduction in town centre footfall nationally which, coupled with Eastbourne’s town centre developments, is affecting our footfall and could lead to an increase in shop vacancies if nothing is done. We would also like to work with you and the various interested agencies to find activities for the street drinkers to get involved in - for example football and fishing - rather than shunting them around the town from one location to another. We would like to work with you and the Council to generate interest in our town centre during the Arndale extension to maintain visitor numbers and increase footfall. We have a terrific town centre with interesting and varied independent retailers; let’s make sure shoppers know we are open for business with great fashion and unusual gift items at very attractive prices. You will be aware that the Chamber and Edeal have been leading on the Business Improvement District, “Your Eastbourne BID”, which will unlock £1.5m of funds for our town centre over the next five years. We are very grateful for the support you have already given the BID and look forward to working with you on this important and transformational project. Like you, we love Eastbourne and believe it has a great future. We remember the drive and determination you had to bring parties together for the benefit of our town, and hope that you will consider relaunching the MPs commission which brought back the successful Carnival and established the now very popular and successful Eastbourne Borough Market every Sunday and Wednesday throughout the year. Your commitment to business is unquestionable and so we look forward to working closely and productively with you in the future for the benefit of our town.